A candy buffet at your celebration is one of the most popular and trendy ways to celebrate your next big event. As a real conversation starter, a candy buffet can delight adults and children alike. With a wide range of sweets available, you can choose from themed, retro or modern, jelly mixes and even more. Take a look at our Candy List. We have amazing packages that every one of our customers opting for something slightly difference have truly enjoyed. The table we use is at a height that everyone can reach, we will decorate it in silk and organza with twinkle lights to suit your theme or colour scheme. Our staff will deliver the sweets and display them in different size Martini glasses and other glass jars. Scoops and paper bags are also provided. None of your guests will be able to resist the temptation of sweets that make the mouth water. Do you find yourself going out shopping looking for certain toys that will suit both boys and girls to put inside party bags? Do you pick up loads of different packets of sweets because you do not know what to buy? When you have finally decided, you then have to fill up the party bags and store them somewhere until the party is over. That is if you actually remember to give them out. Well, thanks to Kelly’s Occasions the need to buy party bags can be a thing of the past if you consider having a candy buffet. A candy buffet can save you a lot of money, time and will certainly please every child that is invited to you son or daughters party. The children can enjoy jellies, retro sweets, lollipops and many more tasty sweets throughout the celebrations.  One of the team from Kelly’s Occasion will come to you chosen location anywhere in the South East and will set up your candy buffet leaving you to enjoy the party. A mixture of your favourite sweets can be placed on a decorated table along with the birthday cake and that is all there is to it. Speak to us today about our candy buffet, which can be adapted to suit any occasion.